Funeral services for Perry Isaacs, of 1107 Madison st. who died yesterday in University Hospital after a brief illness, were conducted from the Birnbaum funeral room at 2 P.M. today by the Rev. Moses J. Braude. Burial was in Frumah Packard Cemetery. 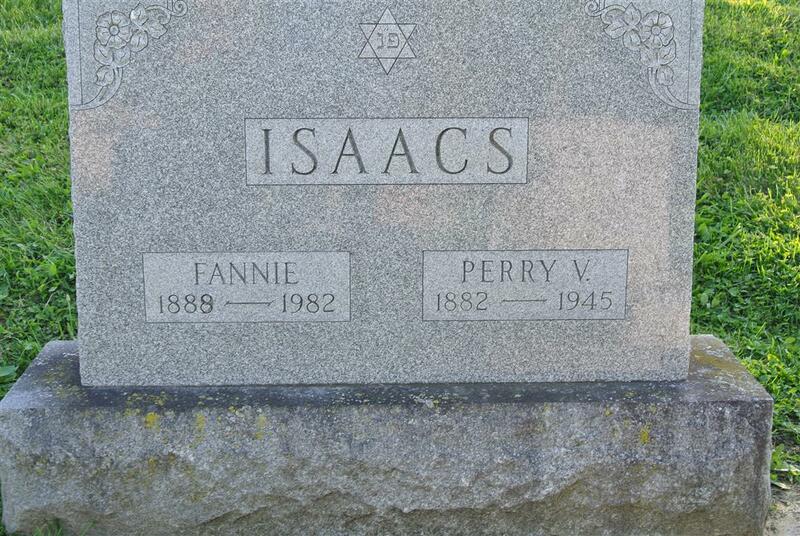 Besides his wife, Mrs. Fannie Isaacs, survived are one daughter. Mrs. Arlene Taylor; two sons, Capt. Lester Isaacs, with the Medical Corp in France, and Ensign Robert Isaac, NATS , in Oakland. Calif.; three sisters, Mrs. Isadore Simon of New York City, Mrs. Sam Fisher of Detroit, and Miss Ruth Isaacs, and two grandsons.